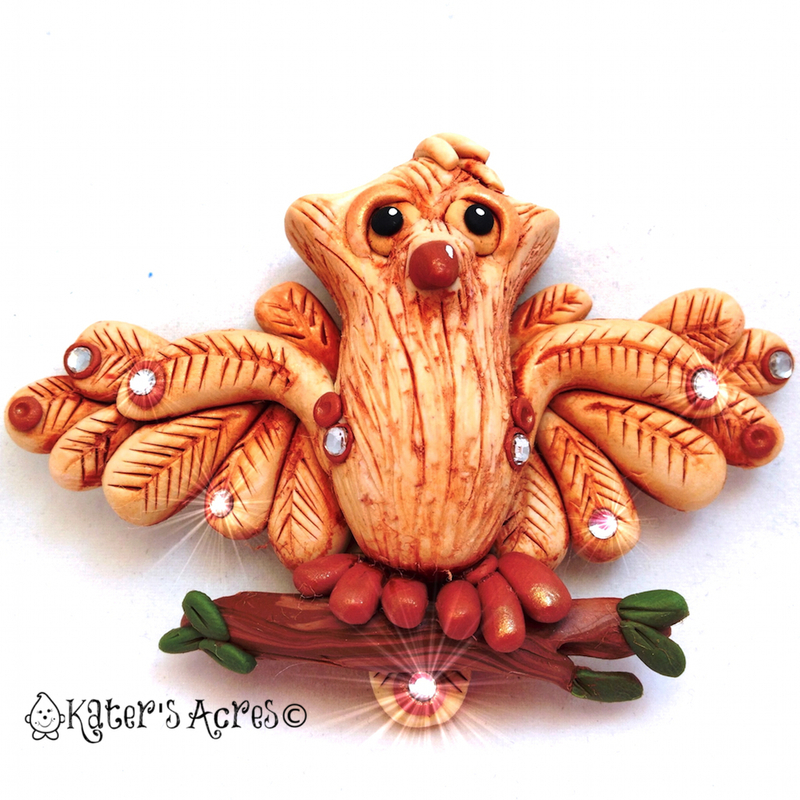 Polymer Clay Owl for the Friesen Project of 2013 - Make Your Own! Home / Polymer Clay / 2013 Friesen Project / Friesen Friday: Owl Mania! Well, yesterday was quite the day around here. And because I love you all so much … despite that we lost power for over 4 hours in the afternoon, I was so dedicated to each one of you that I had to finish my owl. So in the picture above you can see the bright and shiny studio that I usually get to work in …. along with yesterday’s claying conditions. YIPES! So, without further ado, let’s get on with our projects today, shall we? If you have not gotten your PDF copy of Christi Friesen’s Revised “Birds of a Feather” book, please order the book here. For most of us, summer is a very different time of year. We have different schedules, vacations, warm weather that takes you outside instead of being in your studio. Being sensitive to everyone’s needs, for June & July, Christi & I decided to give each of you a little break. There are still full tutorials for you to use and to work on … but instead of me teaching most of them, someone else (in today’s case, Christi Friesen) has already written them for you! Today’s complete tutorial for your polymer clay owl can be found on Christi’s website (UPDATE: Christi’s website has been remastered and this project is no longer available). Today’s tutorial is to make your own polymer clay owl. Owl’s are very popular right now and this project would make a great gift for the nature lover in your life. I’m giving mine to two awesome “outdoorsy” people this Christmas! Remember that as all the projects before it, today’s project is not just about duplicating Christi’s style, but it is about finding your own voice. While my owl takes on Christi’s style, it is still my own. My Polymer Clay owl takes on Christi’s characteristics, but is a lot “fuzzier” than hers with a lot more “wings” and let’s not forget that mine is most definitely having a bad hair day. Poor Owl. If I were to do things differently: I would NOT have antiqued his body. However, I wanted him to look “fuzzy” so I did it anyway. His antiquing is not near as dark as the picture portrays it. I love him dearly and I know the people I made it for will love it on their wilderness Christmas tree too. Imho “antiquing or not” is all a matter of taste? I’m running WAY behind with the projects! Still have to start on the 1st blob-birds but am determined I will make some birds since this is one of my favorite Christi books!